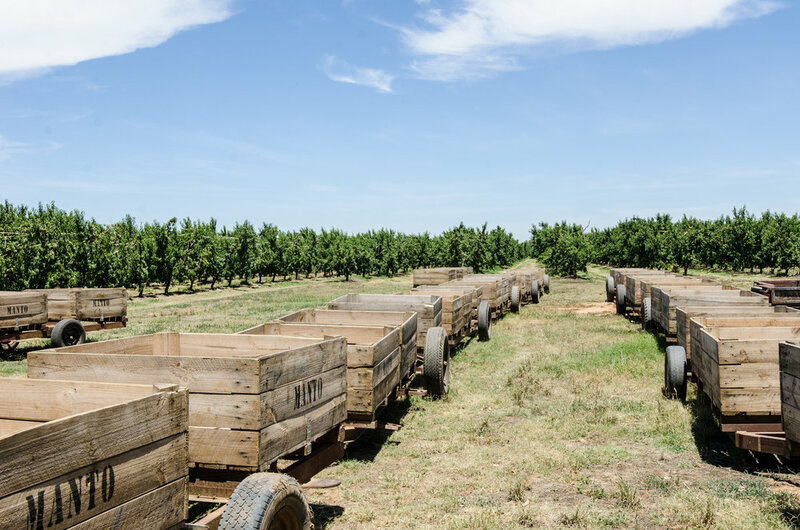 Known for their love of heralding local Aussie farmers and supporting our homegrown fruit, the talented quartet behind Marionette headed to the epicenter of stone fruit - the Goulburn Valley - to source delicious apricots, chat with farmer John and watch some of his apricot harvests. Chatting with John churned up the dire state of the fruit industry both here in Australia and overseas thanks to big chain supermarkets who have imposed ridiculous standards on the fruit they accept onto their shelves. This selective process has seen a staggering rise in the amount of waste prevalent throughout the entire fruit and vegetable industry. With produce refused for superficial reasons (when Marionette received their first apricot harvest from John they witnessed first hand his struggle to regain footing after a downturn of his prized apricots after a hail storm had supposedly “damaged” the fruit deeming it “unsuitable”) huge portions of a potential harvest were unnecessarily being put to waste. The reality check that this delivered renders this apricot brandy so much more than a cocktail staple. The simple fact that it is absolutely bloody delicious goes without saying, but learning that generations of farming families are at risk of collapse thanks to the #filtergeneration we now find ourselves in is a shattering concept. Rant over…more on this fantastic liqueur. Marionette macerates, distills and barrel-ages John's apricots with brandy made by the Angove family who have been distilling for 5 generations in South Australia’s Renmark region. The result is a perfectly rounded brandy like nothing you’ve ever tasted. The flavour of the stone fruits has been concentrated in a way that enhances the original floral notes and totally highlights the quality of the local ingredients. The components that make up this Apricot Brandy Liqueur set the stage which awaits your creative potential. Try it at home as a low alcohol Collins twist. Just add citrus and soda.